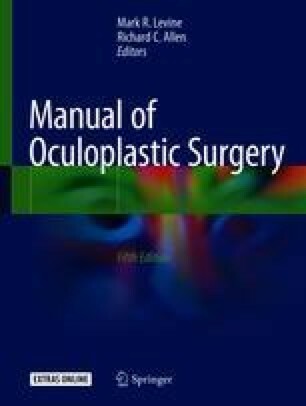 Essential blepharospasm consists of bilateral involuntary spasmodic contractions of the orbicularis oculi and adjacent muscles of the face. It occurs in middle age and older, mostly affecting women. The condition can be most debilitating. Essential blepharospasm is believed to be a result of an organic neurologic disease with a psychologic overlay. The first line of treatment is botulinum toxin with a success rate of 90%. Failures can be effectively treated with myectomy.